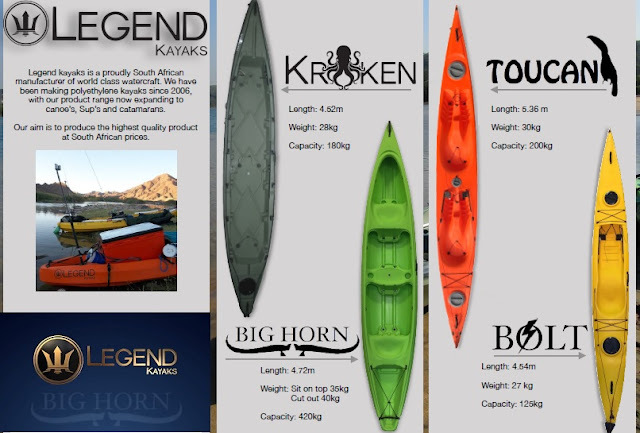 The Legend Nessy kayak has a lower centre of gravity and is therefore exceptionally stable on the water. The straight-line-tracking is excellent and the hull has sufficient rocker to make it very maneuverable. The Nessy is at home on the ocean, on rivers & estuaries, mild white-water rapids and on flat water. The raised bow punches through waves and foamies with ease and with a little practice it is real fun to surf it in the waves. The Legend Nessy seats 1 or 2 persons with a 3rd center seat for a small passenger or for use when paddling solo. 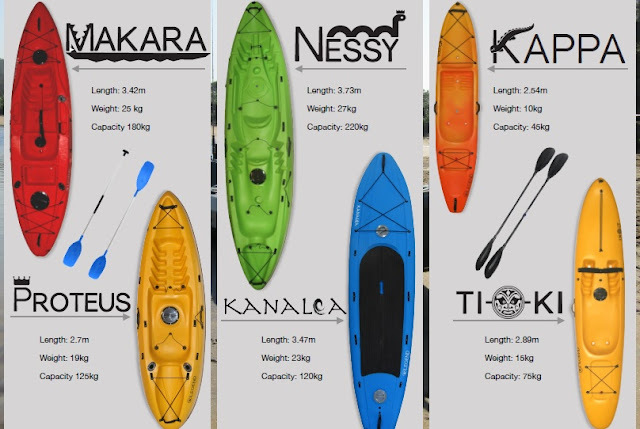 The kayak has molded-in footholds to suit a range of paddlers. The drain holes get rid of water that splashes into the kayak but can be plugged for a dry ride on calmer waters. A sealed hatch in the centre keeps items like keys, cell phones, tackle or gear perfectly safe and dry. The stern is designed to carry gear, dry bags or fishing bags. Bungee cord is fitted to hold your gear in place in turbulent waters. The Nessy can be used for day touring, mild white water rafting, cray-fishing, playing in the waves or just cruising the waters for fun or photos. It is fitted with a drain plug for draining out water after a wash or leaking into the hull of the boat if you left that hatch open. 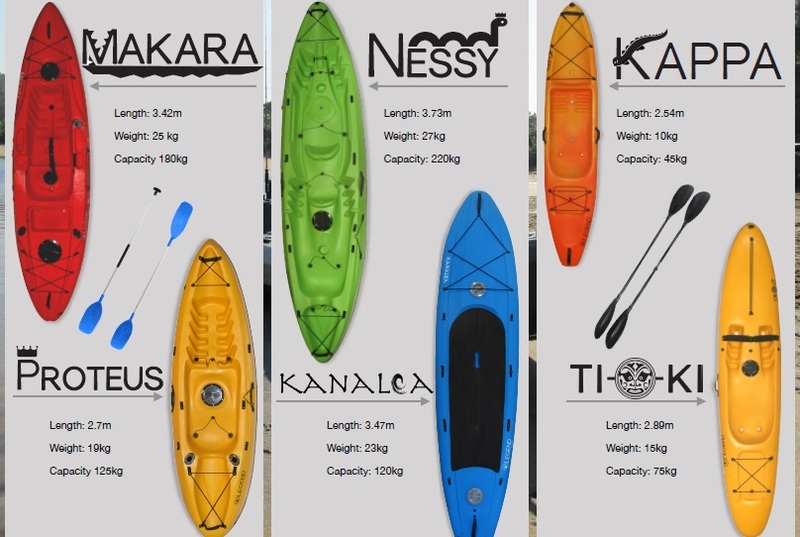 A range of loops are fitted around the outer edge of the kayak to be used for securing thigh-straps or a grab-rope around the boat. An optional buoyancy kit can be factory fitted for seaworthy compliance and a certificate will be issued. 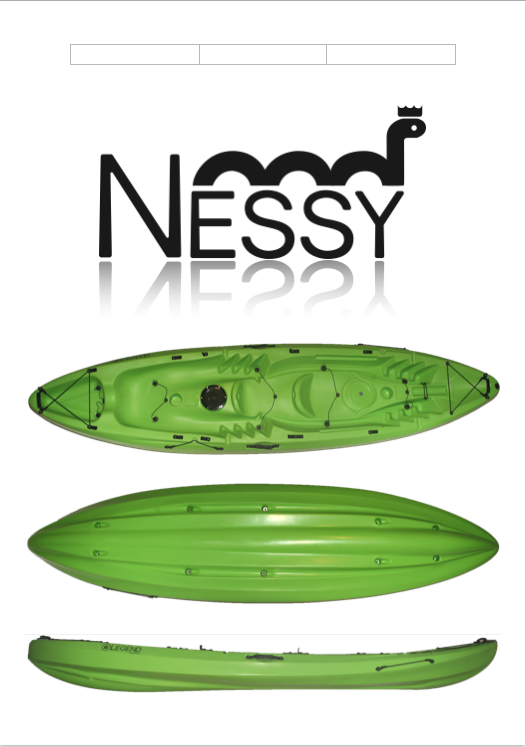 The Nessy is also available as an angler version.